What personal requirements are needed? Food service experience is certainly an advantage but is not necessary. Your aptitude, your desire, your work ethics, your grooming and courtesy are all paramount to your success. Why should I consider food service, especially fast food? The eating habits in America have changed with the advancement of food technology and the advent of the two member working family. The recent trends show that outside eating especially fast food and outside food preparedness, will continue to increase because of increasing time constraints and overall economics. How popular is pizza and Italian food in the American marketplace? Italian food is the number one ethnic group preference. Pizza is now more frequently consumed in the U.S. than in Italy. 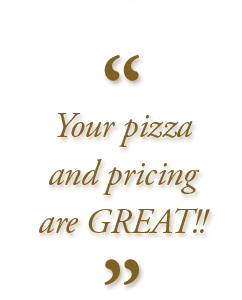 Pizza is one of the most popular food items with children along with hamburgers and hot dogs. How is the trend towards health conciousness going to affect Ameci? Pizza and pasta are extremely nutritious. The management philosophy is to use the finest ingredients available in the preparation process and to maintain an ongoing vigilance and appreciation for trends and in meeting health code requirements. What is my investment requirement? What’s the dollar breakdown? It will vary as to the site and size of the unit. Your franchise sales representatives cover this subject in detail. The overall commitment, (cash and financing) will be between $250,000 and $300,000 for an approximately 1200 sq. ft. store. Variables such as your operational skills, time commitment, demographic forces, the overall economy, etc. make projecting inappropriate. There are legal guidelines and restrictions in the Uniform Offering Circular that must be followed in the predicting of earnings. 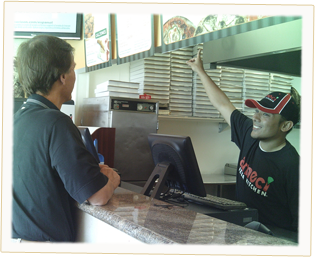 Our existing franchise owners are extremely satisfied with their Ameci operations.